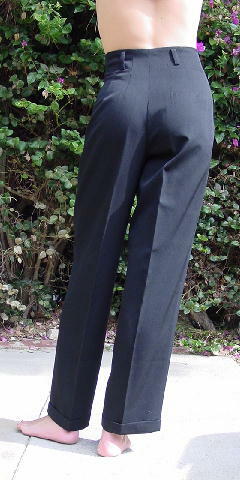 These vintage black 100% pure wool pants have belt loops and a front 9" zipper. 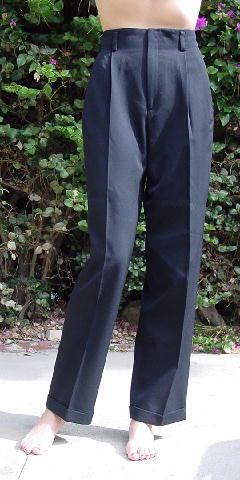 The legs have 1 1/4" cuffs and there are 2 side seam pockets. There are 2 pleats on each side of the zipper. They were used in a magazine photo shoot with a TSE knit sweater and black loafers. These pants will never go out of style. They're perfect for the office - wear them with a snakeskin belt, blouse tucked in, and a jacket; or on weekends with a great sweater.